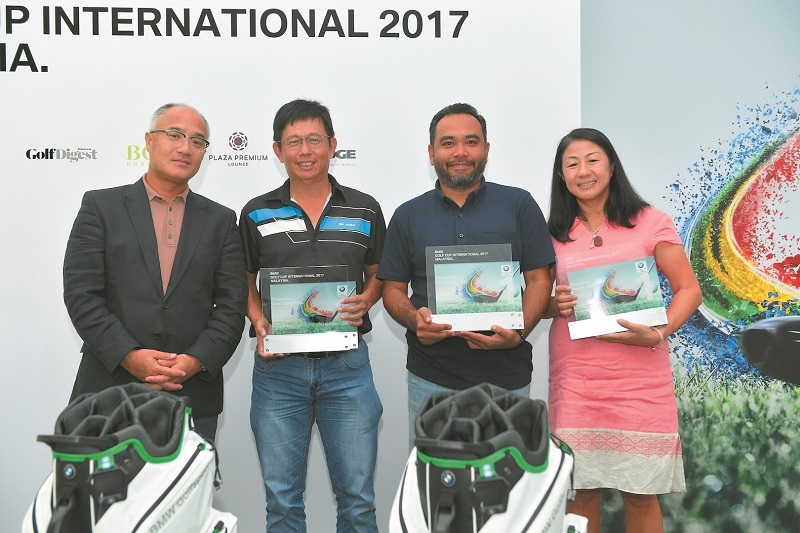 The seventh qualifying leg of the BMW Golf Cup International 2017 Malaysia plays out in Penang. 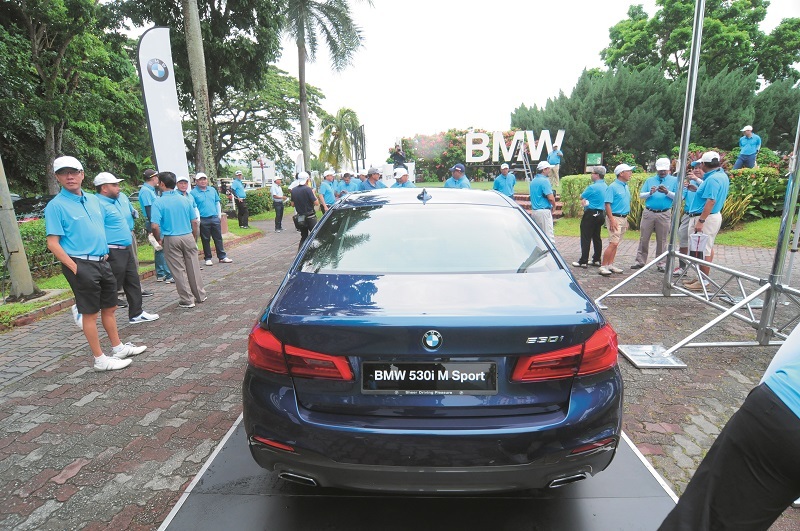 Sixty-four players, comprising discerning BMW car owners, enjoyed a challenging round of golf in the seventh qualifying leg of the BMW Golf Cup International 2017 Malaysia. It was held on Sept 13 at the Robert Trent Jones Jr-designed Penang Golf Club, the only golf course on Penang island. After 18 exciting holes, the Men’s A category was won by 12-handicapper Tan Loon Tow, who carded 74 nett. It was the first win on the fourth time of trying for the 52-year-old, who has been playing golf for the past seven years. The first runner-up was Chong Kok Choy (12), who carded 79 nett, while 8-handicapper Chen Chun Lai took the second runner-up spot with 90 nett. In the Men’s B category, 38-year-old Shah Rizan Ahmad (16) took the top spot when he returned with a score of 68 nett. Neoh Swee Guan (24) emerged the first runner-up, ahead of 21-handicapper Sathiasealan Govindasamy, who took the second runner-up spot on 75 nett on countback. The Women’s category was won by lone lady golfer Low Mun Kan (11). The 54-year-old from Kelab Rahman Putra Malaysia returned a nett score of 77. 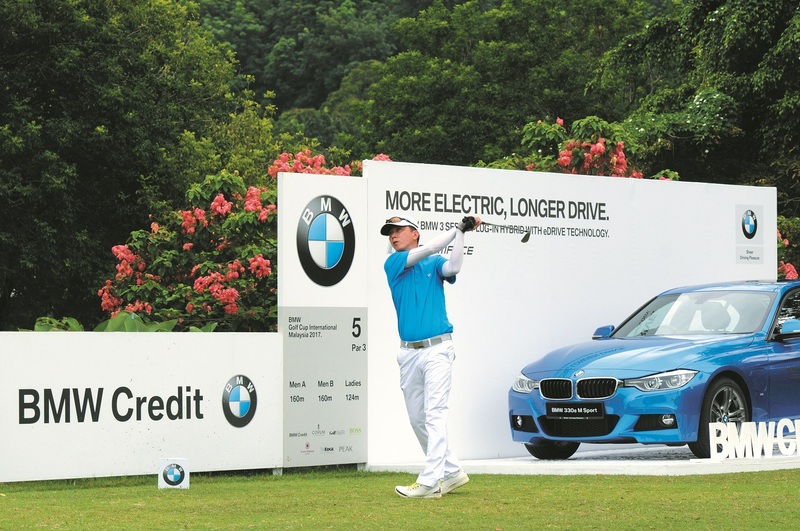 The exclusive Corum hole-in-one prize of an Admiral’s Cup AC-One 45 Chronograph and the BMW Credit hole-in-one prize of a BMW 330e M Sport have gone unclaimed yet again, although Ng Teck Gin from the Men’s B category did manage to snag the BMW Credit nearest-to-hole prize of a RM1,000 rebate for a BMW comprehensive motor insurance (underwritten by Allianz General Insurance Co (M) Bhd. Aw Kuok Hoong won the BOSS longest drive novelty challenge for the Men’s category on Hole 3 with a monster tee shot that measured 282m. Ladies’ champion Low took home a BOSS Ensemble worth RM800 with a drive of 180m. Meanwhile, Khoo Soo Keng from the Men’s B category won the nearest-to-line prize of an exclusive BMW rucksack on the 286m 9th hole. His ball rested 24cm from the line. The Men’s nearest-to-pin prize, also a BMW rucksack, was contested on the Index 18 par-3, 15th hole measuring 108m long. Guest player Lim Chin Leong won the prize with an effort of 91cm. BMW owners and guest players who missed out on the main and novelty prizes were treated to wonderful lucky draw prizes, which included premium items from BMW, adidas, Corum, Harman Kardon and L’Occitane as well as two complimentary golf flight vouchers from Penang Golf Club. The BMW Golf Cup International series first teed off in Germany in 1987 and has since become one of the world’s most prestigious and successful amateur golf tournaments, attracting more than 150,000 golfers from over 46 countries every year. Providing the perfect mix of thrilling competition and social interaction, the BMW Golf Cup International Malaysia celebrates its 10th year and in that time, has proved to be the benchmark for amateur golf tournaments in Malaysia and around the globe. The national finals will be held at The Els Club Teluk Datai in Langkawi on Nov 16. This year’s tournament is supported by BMW Credit, Corum, Golf Digest, Hugo Boss, Plaza Premium Lounge, The Edge, adidas Eyewear, Harman Kardon, illy Coffee, L’Occitane, The Peak and TaylorMade-adidas. For more information, visit www.bmwmygolfcup.com or call 1 800 88 3000.